Getting into the habit of eating raw foods is a great way to stay healthy. Not only will your body feel refreshed and energized, some of these foods can be very tasty! Fruits, nuts and vegetables are such an essential part of the human diet in order for it to be working to its full potential. Raw food is uncooked and unprocessed. Eating raw, whole foods can lead to weight loss, more energy and even allow people to avoid disease. Over time, the way food is cooked has changed. This led to certain foods losing their nutritional value and has even allowed some foods to be less healthy. The process of cooking foods has become more complex, resulting in effects such as heartburn, indigestion and an upset stomach. 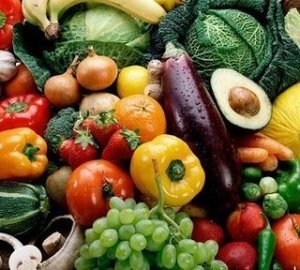 Why not eat a more simple diet, consisting of natural ingredients? Can a salad be just the thing to eat? 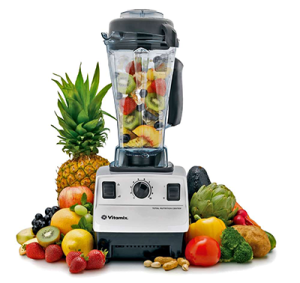 Why not load it with lots of greens and fresh vegetables or even just make a fruit salad? These are such light meals that are made in no time at all. They’re definitely a small meal to take advantage of, especially if you’re looking for different ways to stay or get healthy by eating right! When you’re on the go, keeping a bag of trail mix is a perfect nutritious snack. Not only is it convenient to store in your purse, car or pocket, it gives you a mixture of ingredients like dried fruit, nuts and granola that are delicious when thrown in together. You’ll definitely feel a boost after a few handfuls of trailmix. Where can you buy these delicious snacks? Whole Foods Market is a natural and organic grocery store that holds tons of fresh items offering a variety of things for people to eat. There are Whole Foods Markets all over the country! However, you can find raw/whole foods in any grocery store or farmer’s market. Whole foods are unprocessed and contain no added ingredients. They’re loaded with fiber, vitamins and minerals. Next time you want to make spaghetti, remember to grab the whole grain/wheat pasta. Whole grain/wheat pasta can give you a delicious meal without being so heavy! Make a healthy choice and shop at grocery stores, like Whole Foods, for items that are healthier for your body. Fish is a common raw food that people consume with raw food diets. Some people consider it dangerous to eat raw fish because it can cause illness. However, you just need to make sure the fish you’re eating is fresh! Fish is such a good source of protein and is low in cholesterol and fat. 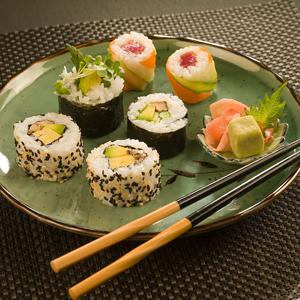 Sushi, a Japanese raw food, is a tasty type of food that contains raw fish. Most pieces of sushi are healthy and nutrient-rich. It is made with sticky rice, seaweed, vegetables and fish. The seaweed contains important vitamins and the rice is a great source of carbohydrates. You can order sushi rolls without the raw fish and still get that healthy meal if you order the vegetable maki rolls. There are a variety of different rolls to get. You can’t go wrong even with the vegetable rolls. Not up for making dinner? Sushi is wonderful choice. Any increase in raw foods in your diet will leave you feeling better and noticing results. Getting started with your raw food diet? Consult with your nutritional expert first. Here are some easy recipes! Want to read more about eating raw? Here’s an article on 10 Advantages to eating raw foods.